and surrouinding WI communities. 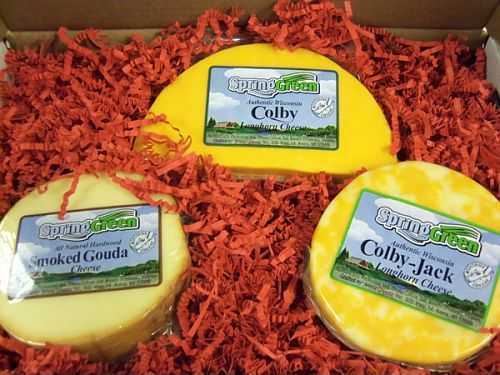 Arena Cheese will ship cheese anywhere in the continental United States! 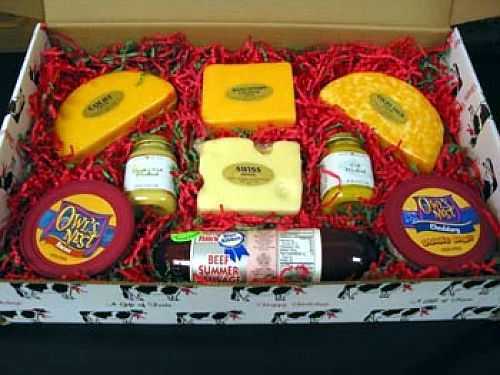 Page Summary: Award Winning Cheese Gift Baskets filled with a variety of fresh Artisan Wisconsin cheeses. 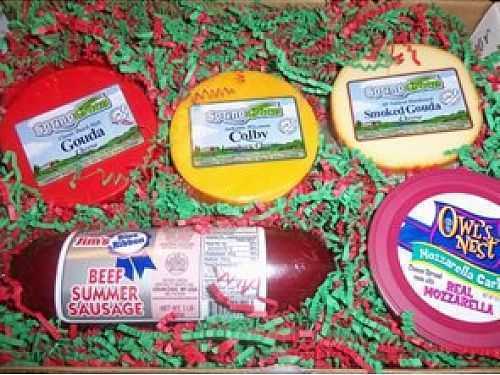 Gift boxes of premium cheese and meats are available from Arena Cheese.